Antartica -According to NASA, the frozen continent of Antarctica is thawing. While it may be some time until it "melts" away, efforts are in place to minimize the environmental impact of tourism. Cruise ships carrying more than 500 passengers are no longer allowed to sail the straits. 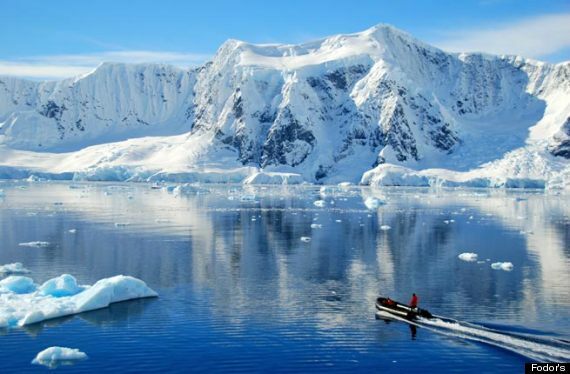 Some stricter limitations are on the docket from the International Association of Antarctic Tour Operators, an organization devoted to promoting safe, responsible tourism. Go while it's still there to see incredible wildlife sightings, immense ice shelves, and outstanding mountain ranges. 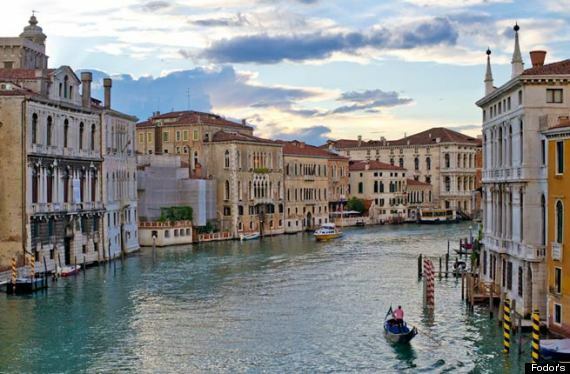 Venice, Italy -Though its watery canals evoke a sense of romance, Italy's "floating city" might go the way of Atlantis: flooding has been increasing for years, and scientists are wondering exactly how long Venice can stay above water. A recent study at the University of Padua in Italy has charted the city's apparent sinking, while architects are saying that the watery immersion is compromising building foundations, too. While it's aboveground make sure to cruise the Grand Canal, view the gorgeous mosaics of the Basilica di San Marco, and sample local cuisine and wines. Tibet -Set high in the Himalayas, the unique culture of Tibet has been disintegrating since the country came under Chinese control in 1950. Despite efforts of high-profile activists like actor Richard Gere and the Dali Lama to free Tibet from Chinese occupation, it is said the language and various traditions are quickly disappearing. The Chinese government also freezes permits for tourism from time to time; depending on current policy it may already be too late to visit. 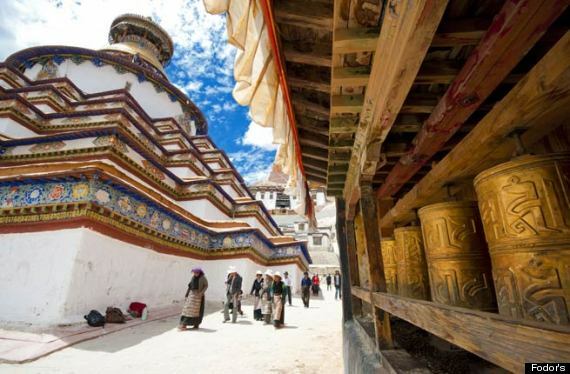 If you happen to catch this country at the right time, check out the towering Potala Palace or explore the lofty Ganden Monastery. Taj Mahal, India -The world's most elaborate mausoleum, built in the 17th century in memory of Mughal emperor Shal Jahan's favorite wife, Mumtaz Mahal, currently welcomes three million visitors a year. 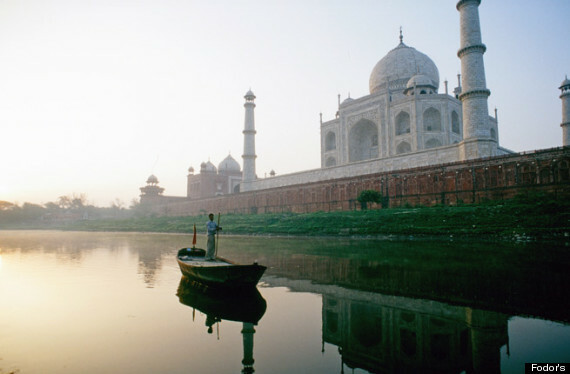 That may not be the case within five years, however, as UNESCO and some preservation groups are urging India to close the Taj Mahal as air pollution, shoddy restoration, population explosion, and tourism's impact have been eroding the structure's exterior. Until the palace is once again deemed sound, the days of up-close encounters with the majestic site may be numbered. Until then, visitors can take in the palace's magnificent details like a reflecting pool, chiseled marble screens with tiny sculpted flowers, and intricate inlaid semiprecious stones. Culebra and Vieques, Puerto Rico -Though both islands, tiny paradises off the east coast of Puerto Rico, have triumphed over the US Navy by halting bombing drills that were compromising the environment, the current threat involves overdevelopment. Since the W Resort moved into Vieques in 2010, other properties have been eyeing both islands. Locals worry Puerto Rico's dismal economics will trump their efforts to maintain the islands "unspoiled" charms. Respect the islands' natural calm and enjoy environmentally-friendly activities like kayaking in the bioluminescent bay off Vieques, or snorkeling off Playa Carlos Rosario in Culebra for views of a fabulous coral reef. Easter Island, Chile -Known for its famous 887 moai--carved monolithic statues--Easter Island's future may be compromised by a fading culture. 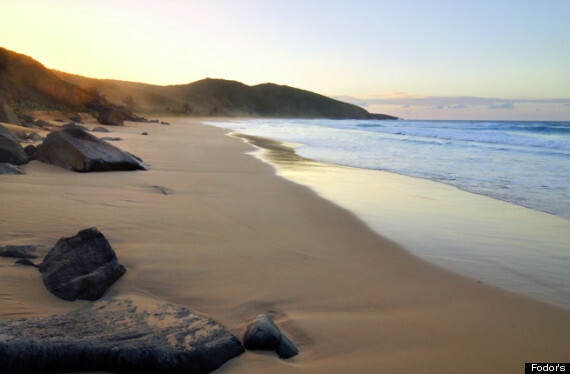 The remote island has a small population of 5,000, of which fewer than half are Rapa Nui (the indigenous people of the island), according to a 2012 study done by The Berkeley Planning Journal. Recent developments, such as the opening of a new luxury eco-resort last year, also have locals concerned about a tourism influx; so much so, there is a movement afoot to limit numbers. 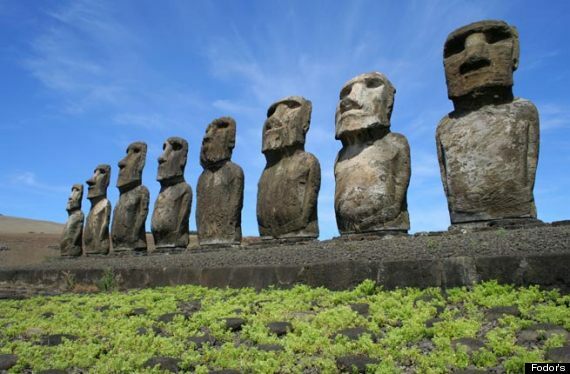 Visit before you need a reservation, and see the island's ancient petroglyphs, cave paintings, and moai, or do some extraordinary diving. 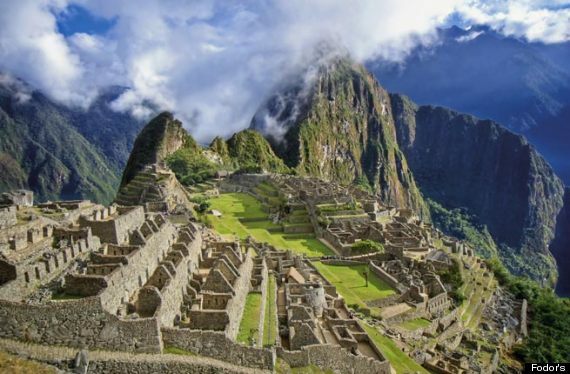 Machu Picchu, Peru -Development will greatly affect the remains of the ancient civilization of Choquequirao, known as "the other Machu Picchu." The Peruvian government recently announced the building of a 3-mile cable car to Machu Picchu's "sister city." As a result, tourism will explode from five visitors a day to 3,000 when it opens in 2015. The intent of the tramway is to ease the burden on Machu Picchu, which already limits visitors to 2,500 daily and requires reservations to hike the famed Inca Trail. A journey to either of these ancient cities will allow visitors to take in stunning mountain landscapes and impressive ancient architecture. 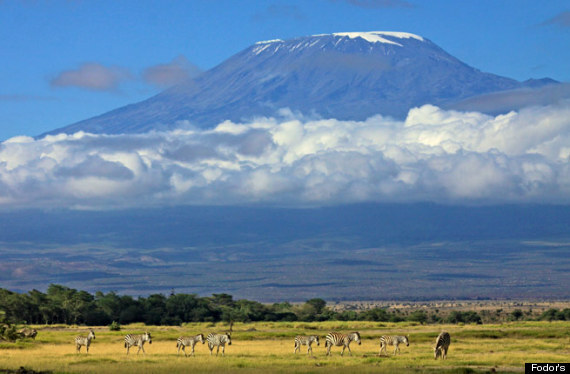 Kilimanjaro, Tanzania -Few spots in the world are as picturesque as the volcanic mountain of Kilimanjaro. Africa's tallest peak is beloved by trekkers and was brought to life in Hemingway's short story, The Snows of Kilimanjaro. A study published by the Proceedings of the National Academy of Sciences says those snows are likely to be gone in 20 years, stating that 85 percent of the ice cap has already disappeared during the last century. To have the best Kilimanjaro climbing experience, visitors should strongly consider an operator that's registered, has qualified guides, has porters' interests at heart, and follows an environmental policy. Great Barrier Reef, Australia -Known as one of the world's premier diving sites, the Great Barrier Reef is suffering from rising ocean temperature, water pollution, and fishing, which are causing erosion to the largest coral reef in the world. According to the Intergovernmental Panel on Climate Change, the rate of disintegration to the 7,000-year-old reef is unprecedented; some scientists say that it could be dead within the next 40 years, taking a significant amount of sea life along with it. With such a unique and spectacular array of coral, fish, and other marine life, travelers should put this on their must-see list. But when visiting be sure to look and not touch--the coral is easily damaged. 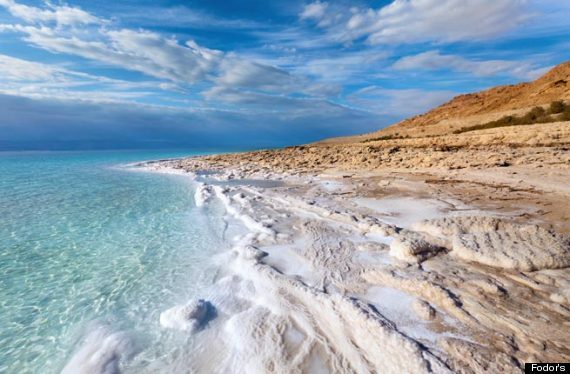 Dead Sea, Israel and Jordan -When border countries began to divert water from the Dead Sea's main tributary 50 years ago, the famous, salty, buoyant body began to evaporate, sinking about three feet a year, according to studies by the Israeli government. The suggested answer: the "Red-Dead" project, which will channel the Red Sea into the Dead Sea. Local environmentalists, FoEME (Friends of the Earth Middle East) claim that the project will irrevocably compromise the Dead Sea's ecosystem. Either way, if a solution isn't put into place, the famed sea could dry up within the next 40 years. Get here before it's gone to enjoy a fun float in this sea (30 percent saline). Places, much like animals can become endangered, and some of the world's most amazing sights are gradually disappearing. 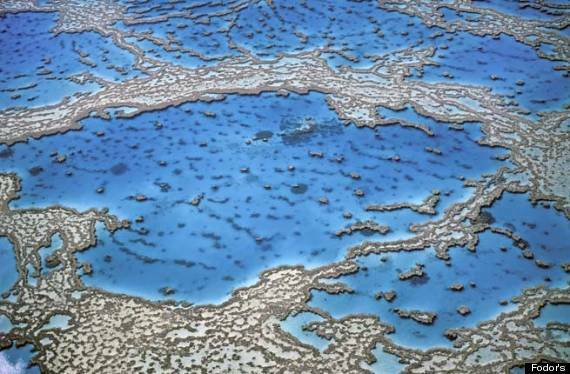 Scientists say climate change has been affecting oceans, reefs, beaches, and even cities. Development is another danger for once-pristine, off-the-beaten-path spots and their cultures. Here are 10 places on the brink of forever changing, and some threatening to disappear altogether. Trust us, you want to see these now, just remember to travel responsibly and respectfully.